Despite our best efforts, diet and exercise-resistant fat can keep us from achieving our desired body image. With the latest developments in non-invasive body contouring, surgery isn’t the only answer to capture your best angles. 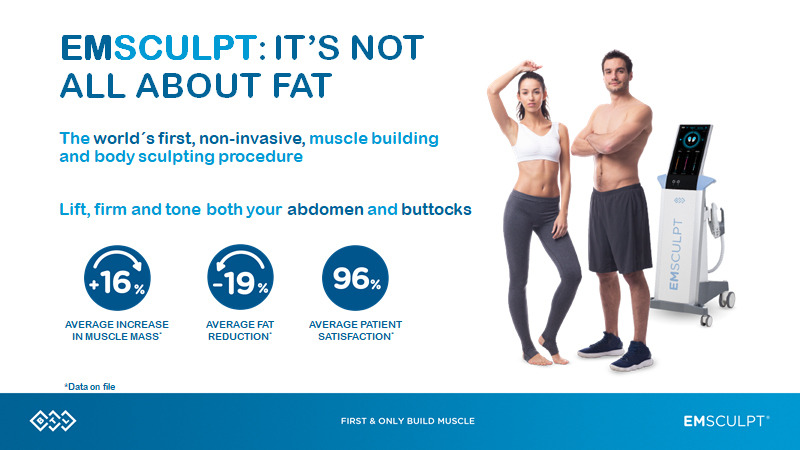 Engineered by BTL, one of the most renowned names in body definition, EMSCULPT offers an unparalleled experience to help men and women tone muscle and shape their bodies. 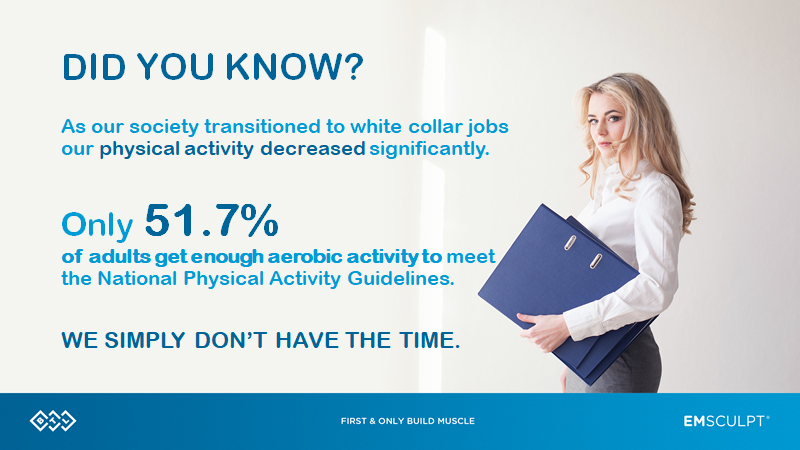 No sweating necessary! Greenberg Cosmetic Surgery offers top-tier aesthetic care and treatments including EMSCULPT to help reveal your best angles. Dr. Greenberg is acclaimed across the country as a leader in plastic surgery. His goal for Greenberg Cosmetic Surgery is to help you achieve the true you with compassionate care and top-of-the-line treatments. Contact us today to schedule your consultation and find out if this body contouring treatment may help you achieve the complexion of your dreams! EMSCULPT is a breakthrough non-surgical body contouring treatment that can safely and effectively tone the abdomen and buttocks. Harnessing the power of non-invasive high intensity focused electromagnetic technology, this system stimulates muscle activity beyond that of a normal workout. 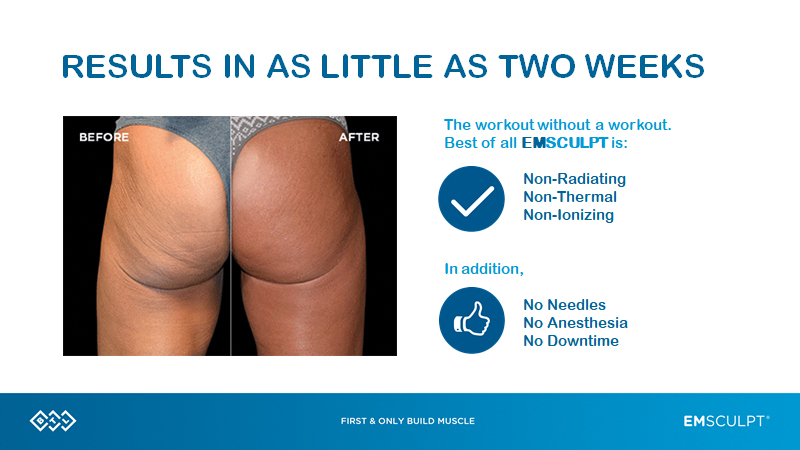 Powerful muscle contractions induced by EMSCULPT cause muscular tissue to acclimate these new conditions, causing inner structures to remodel themselves and craft a sculpted abdomen and a lifted buttocks. Many people usually feel an improvement right after their first treatment session. However, results become more drastic with an optimal EMSCULPT treatment plan. Dr. Greenberg and his body contouring specialists want to ensure you see the best possible results. During your initial consultation, one of our experts will carefully examine your desired treatment area, be it your abdomen, buttocks, or both, and discuss with you your aesthetic goals. From there, we can devise an EMSCULPT treatment plan that can help you redefine your reflection. Results will vary from person to person. Is EMSCULPT Right For Me? Women who are pregnant or those who may have an embedded device such as a pacemaker may be referred to an alternative option. Our specialists can help you decide if EMSCULPT may be suitable for you following an evaluation of your medical history during your appointment. Capture Picture-Perfect Angles Through EMSCULPT! 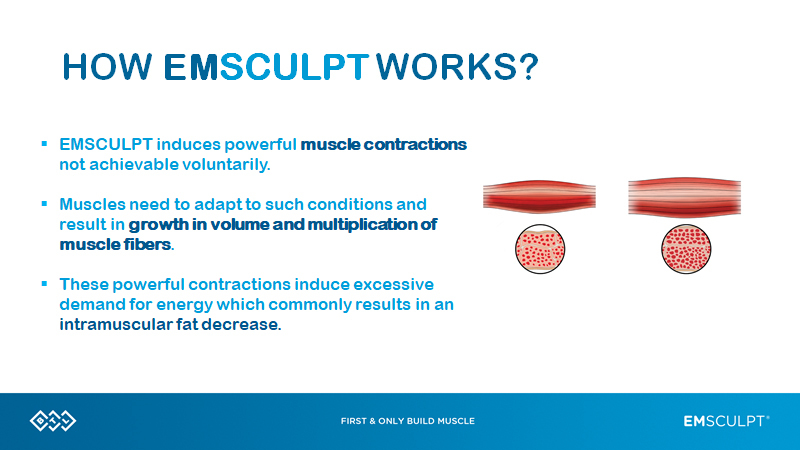 Would you like to learn more about EMSCULPT and if it may be the right choice for you? Contact us today at Greenberg Cosmetic Surgery to schedule your initial consultation! We look forward to hearing from you! 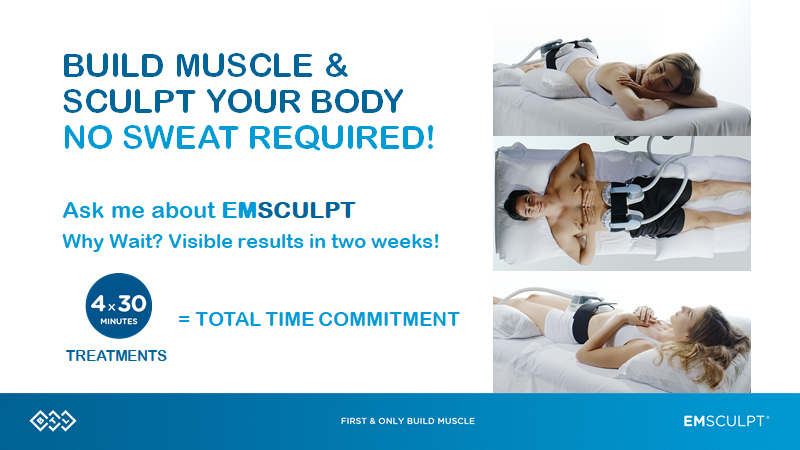 EMSCULPT	Overall rating:	5	out of 5 based on 31	reviews.